Making mathematics education simpler with ancient Indian ideas. Coming soon in December 2020. Podometic™ – the World's Fun Free & Powerful Peer-Reviewed Arithmetic Maximising Math Education. 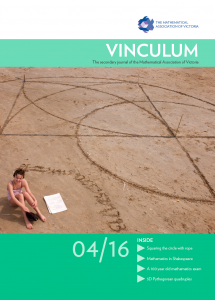 Euclidean Number Theory: Greek - Arabic - Sanskrit - English! Translation for Chinese slideshow wanted! How to Square Circles at the Beach! 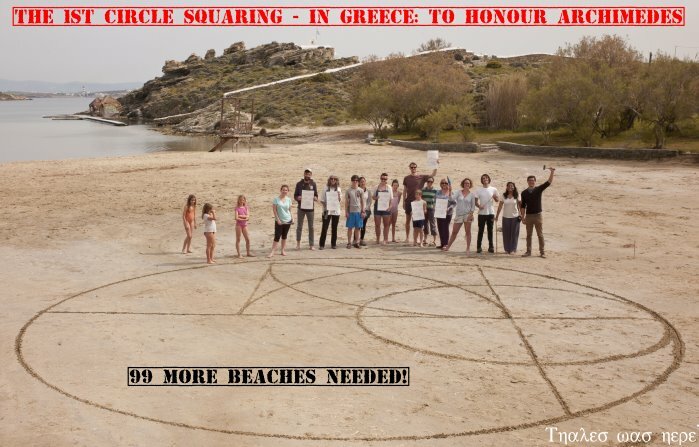 The circle was squared on the Greek island of Paros, by a team from 7 different countries. I want this event to promote hope and peace! The geometry is perfect – no numbers needed. And it’s super simple, yet people missed the solution! Squaring the circle is a metaphor for the impossible. So is the idea of world peace. Yet if the circle can be squared, so too might peace become real! 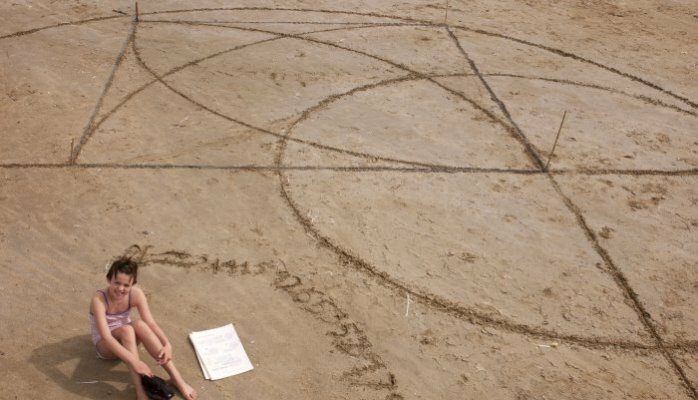 My goal is to have children squaring the circle on 100 beaches around the world. Maybe then, people in power will realise, it's only THEM that pursue war. Can I send that message? I don't know... Yet together we just might! Jonathan went on to explore hundreds of original source mathematics books & manuscripts spanning 16 languages. 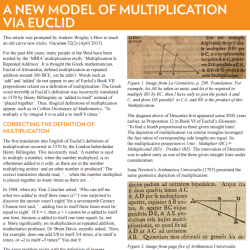 Euclid's definition of multiplication had been incorrectly translated into English in 1570 and was NEVER corrected! 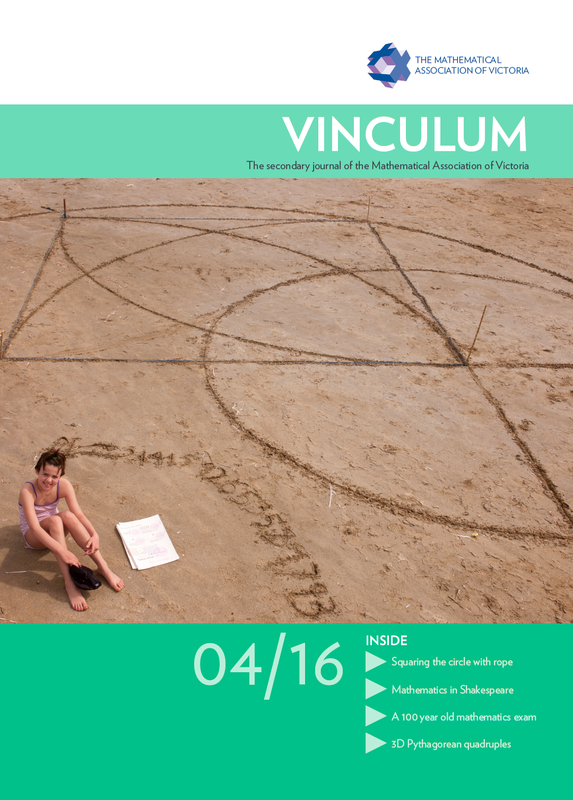 Jonathan's recent published paper and conference presentation titled, The Lost Logic of Elementary Mathematics reveals when why and how western mathematics education came to be filled with mis-truths, contradictions and inconsistencies. Dear India, I'm visiting you to relaunch maths! Answer this. If 1⁰ = 1 and 1¹ = 1 does 0 = 1? Multiplication ≠ Repeated Addition: Myth Busted! How to memorise the world's largest known prime! How to square a circle with peg & rope. 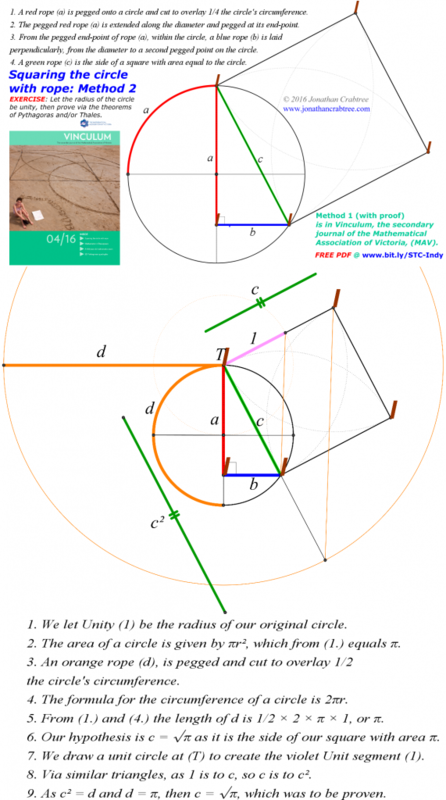 Did Thales teach Pythagoras this? Theodorus of Cyrene, Pythagoras & Podo at Play! Why is negative left of zero & positive right? Weirder than Weird Multiplication? Weird Division! Is this why are Chinese kids better at math?